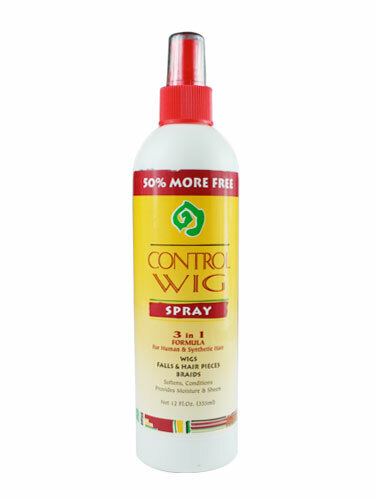 This Control Wig Spray is a 3 in 1 formula designed to help wigs and braids maintain a beautiful and natural look. Use the crystal clear formula daily to maintain beautiful sheen, superb softness and a natural look for all human hair and synthetic hair wigs, braids and hair pieces. Hold bottle 10 to 12 inches from hair, spray evenly over the hair. DO NOT SATURATE. Brush or comb into desired styles.